Make your New Year’s day more exciting!  GoRummy “2K16 New Year Blaster Rummy Tournament” is here to bring rummy lovers lot’s of fun. Grab 1,00,000 guaranteed cash prizes in this mega tourney, scheduled on Friday, January 1 2016 from 10PM to 12AM. Entry is Free! Total 2000 players compete for the guaranteed prize pool of Rs. Lakh where top 100 players will share the prize pool. This is the biggest opportunity to start your new year with attractive cash prizes which double your new year excitement. Hurry UP! Registrations are already Open! Reserve your seat. Registrations are limited to 2000 seats. Hurry Up! Choose ‘Tournament’ option from our lobby. Management reserves the right to remove or edit tournament rules at any stage without any prior notice. Players shall not engage in any fraud activities of whatsoever. If found compromising, then all the withdrawals will be suspended.